← MLK Jr. Hails a Cab? Next to Aurora’s Paramount Theater sits a historic building, most recently the home of Waubonsee Community College’s Aurora campus. It’s been vacant for five years. However, a Rick Guzman led initiative, which leveraged $500,000 in city funds into $35,000,000 of development commitments—a 70 to 1 return on investment!—will soon change that. Go HERE for details on how he did this. 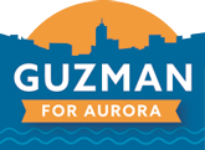 For more on his mayoral campaign, go to the Guzman for Aurora website, and go Here for more on this site. For now let’s just note that Rick Guzman is wise to follow a growing trend which uses the arts to help revitalize urban areas, especially downtowns. 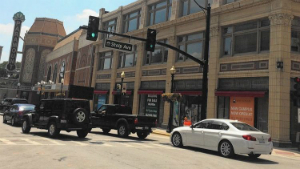 Creating arts centers to spur economic growth goes by several names. 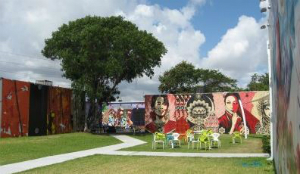 The National Endowment for the Arts created a white paper titled “Creative Placemaking” for the Mayor’s Institute for City Design, a leadership initiative co-sponsored by the United States Conference of Mayors and the American Architectural Foundation. Americans for the Arts refers to these centers as “Cultural Districts.” This link leads to its one-stop shop “Toolkit” for creating them. It covers: Cultural Districts Basics, Developing a Cultural District, Advancing a Cultural District, Profiles of Cultural Districts, Cultural Districts Research, and Cultural District Issue Briefs, briefing papers on everything from district management to cultural tourism. Successful examples abound. The Frieden article looks briefly at three of them under the headings: “Seattle, Miami, Cleveland: Sharing resources fosters community,” “Cleveland and Queens: Meeting social needs creates new audiences,” and “Miami and Columbus: ‘Going big’ builds a brand.” We often see the arts as a means for expression—often just self-expression—but they can also powerfully express the soul of a community. “Every town has a public square or landmark buildings or places that have a special emotional significance,” says Landesman. “The extent that art can address that pride will be great.” That pride spurs economic growth, certainly, because art, in expressing a community’s pride, also encourages the sharing of resources, the meeting of social needs, and a city’s “brand”—which isn’t just a business/marketing term. “Brand” can be an expression of a city re-finding or re-creating a more vibrant identity. If Guzman for Aurora is successful, it will enable Rick Guzman to lead more initiatives to use the arts not only for more business growth, but also for bringing more vibrance to Aurora’s identity. ♦ Go to the “Lead Post” about the Guzman for Aurora campaign on this site. This entry was posted in Arts and tagged arts and economic growth, arts districts, Guzman for Aurora, National Endowment for the Arts, Paramount Theater, Rick Guzman. Bookmark the permalink.